On a lovely, warm, sunny afternoon, ten members of the U3A Botany Group visited Happy Valley to look at the large range of trees there. 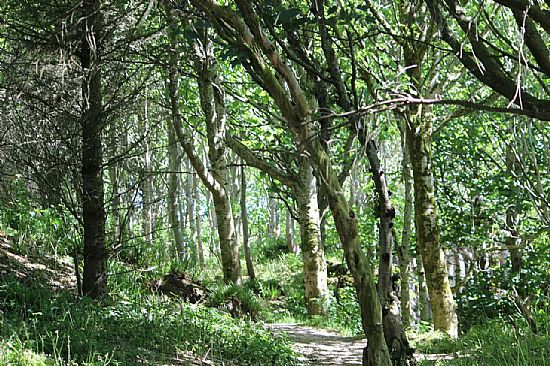 54 different tree species have been recorded there; all of them, with the exception of a few native willows, have been planted, taking advantage of this nicely sheltered location. 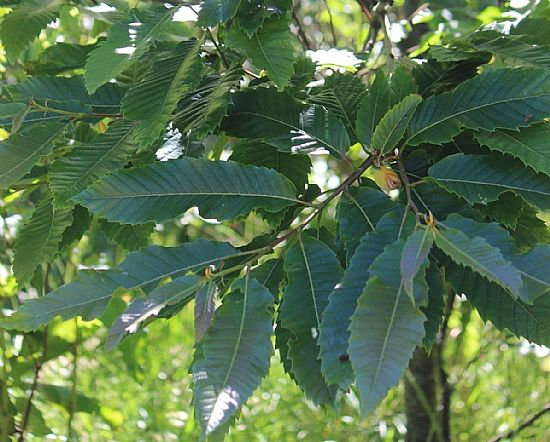 We started in the mature section of woodland, planted by the late Edwin Harrold and still enjoyed by so many people. After Edwin’s death, the area was gifted to Orkney Islands Council who now share its management with the Friends of Happy Valley. We looked up at the large Whitebeam, the Japanese Larch with its rose-like cones, the impressive bark of the Monkey Puzzle, Wych Elm, Dombey's Southern Beech, (Is there another one in Orkney?) 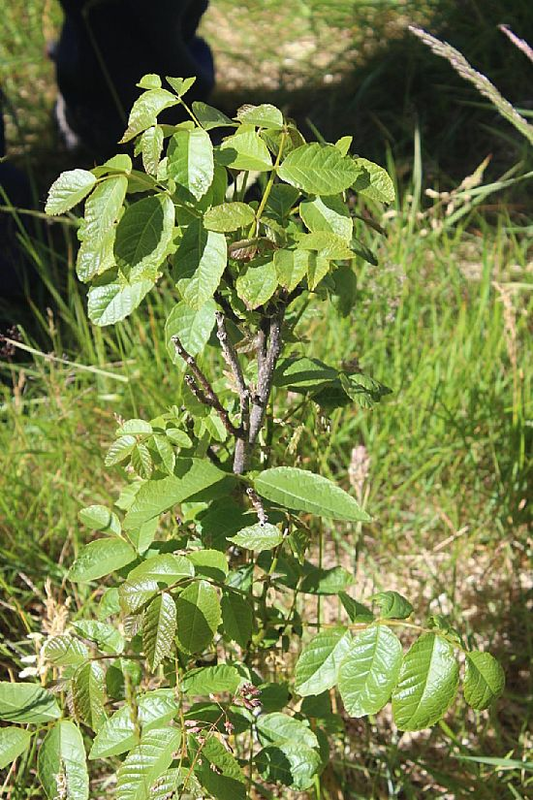 Ash, Hazel, several species of Oak and Alder. 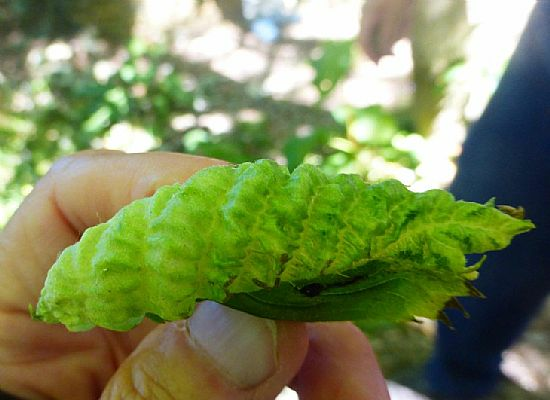 On the Elm we noticed some rather beautiful leaf curls (afterwards identified by Lee Johnson as probably being caused by Eriosoma ulmi - the Elm-Currant Aphid). We mused about where Edwin found some of these more unusual species. We also spotted the less welcome plants in the wood - the horribly invasive Salmonberry, which the Friends of HappyValley are fighting hard to eradicate and the raspberry, which is also becoming quite invasive; an example of how easy it is to unwittingly introduce an invasive plant and create a long-lasting problem. We then moved to the younger trees planted by volunteers in the adjacent field, mainly in 2006, but with smaller numbers added over the years. Here we saw some Orkney natives - Downy Birch, Rowan and Aspen and also many other species unusual for Orkney including Sweet Chestnut, Hornbeam, Small-leaved Lime, Walnut, Western Hemlock and Copper Beech. By this stage the clegs were biting and we adjourned for much needed ice-creams, but we plan to return in the winter to look at how to identify trees from their winter buds. Hopefully the clegs will be long gone by then!